They say that the way to man’s heart is through his stomach. 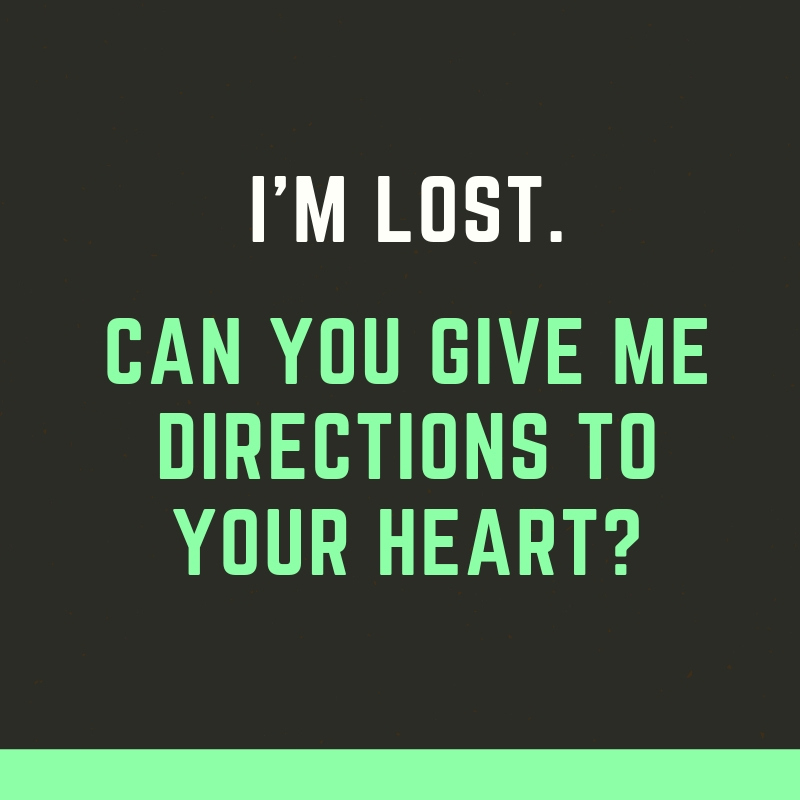 So where then is the way to a girl’s heart? If you want to capture a girl’s attention, the best way to do so is by making her smile. 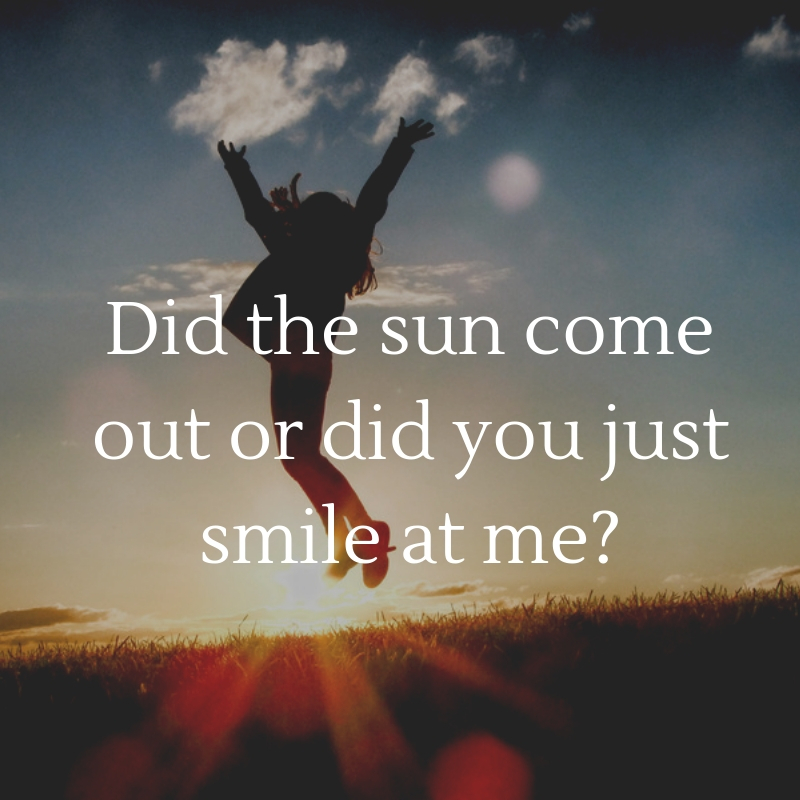 What better way to make her smile than by telling a corny pick-up line? 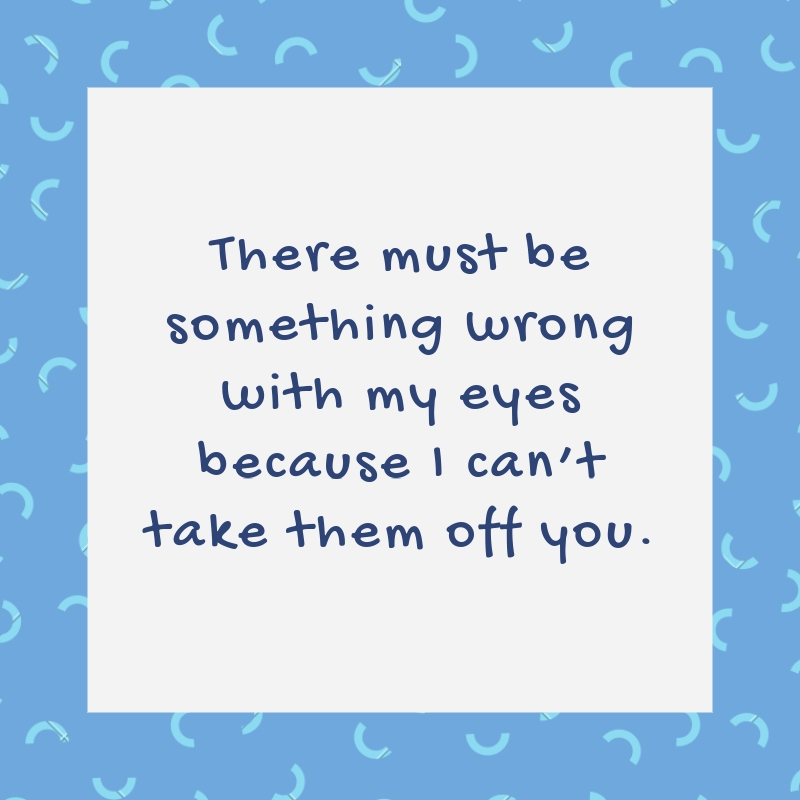 If you’re looking for a way to start a conversation with a girl that you like or a way to break the ice so to speak, these 22 Corny Pick-up Lines will help you to do so. These may be corny at first glance but you’ll definitely burst out laughing with your family, friends, loved ones, and that special someone. 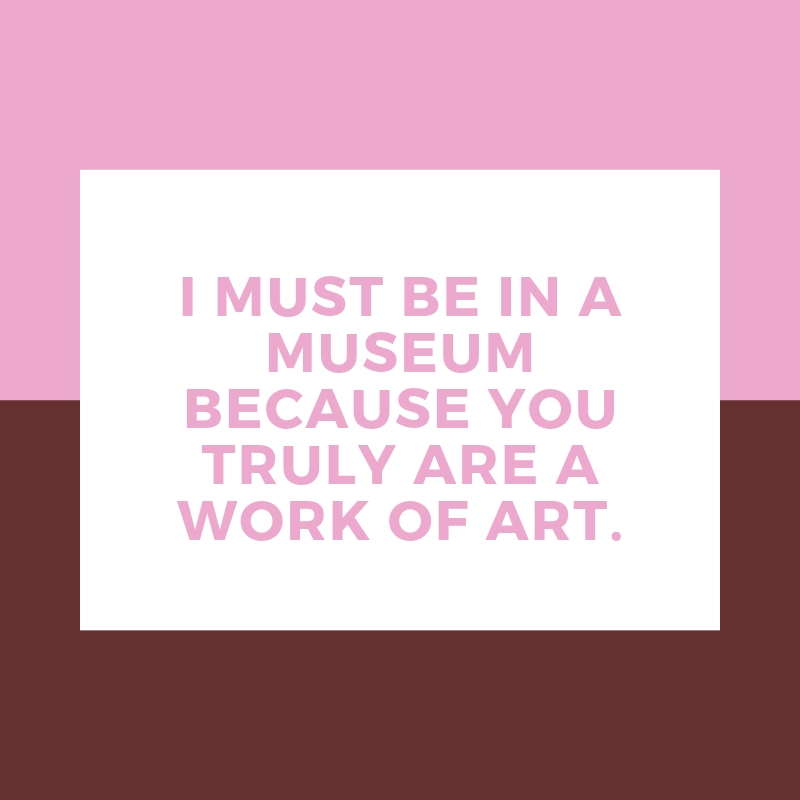 I must be in a museum because you truly are a work of art. 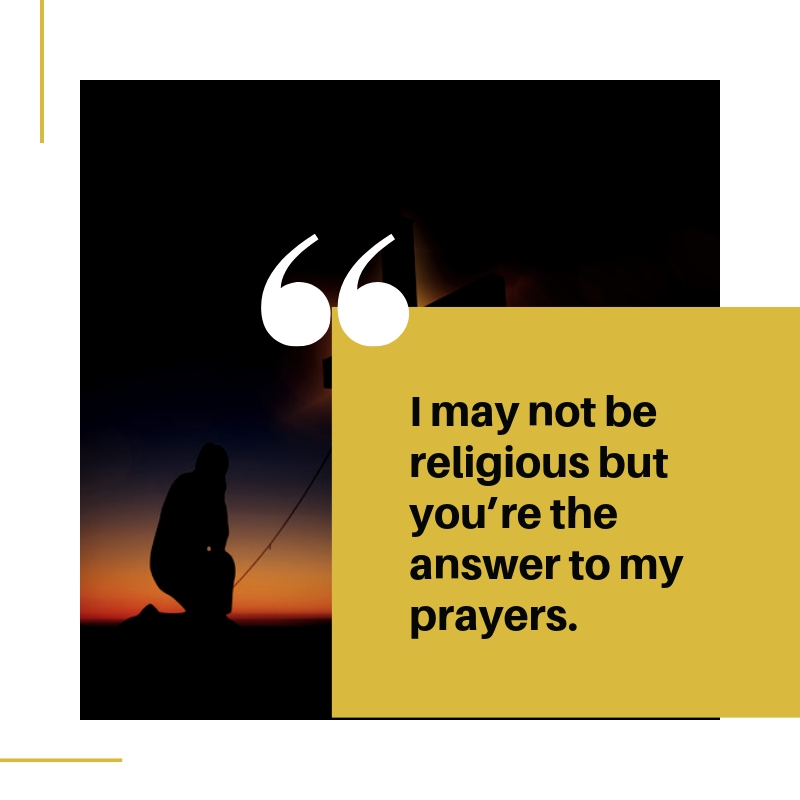 I may not be religious but you’re the answer to my prayers. 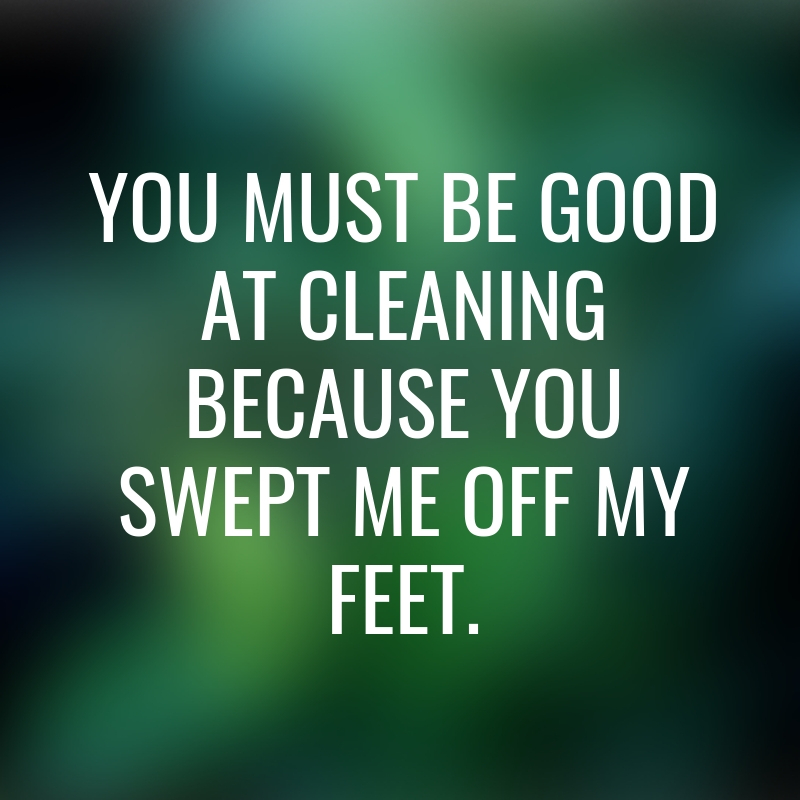 You must be good at cleaning because you swept me off my feet. 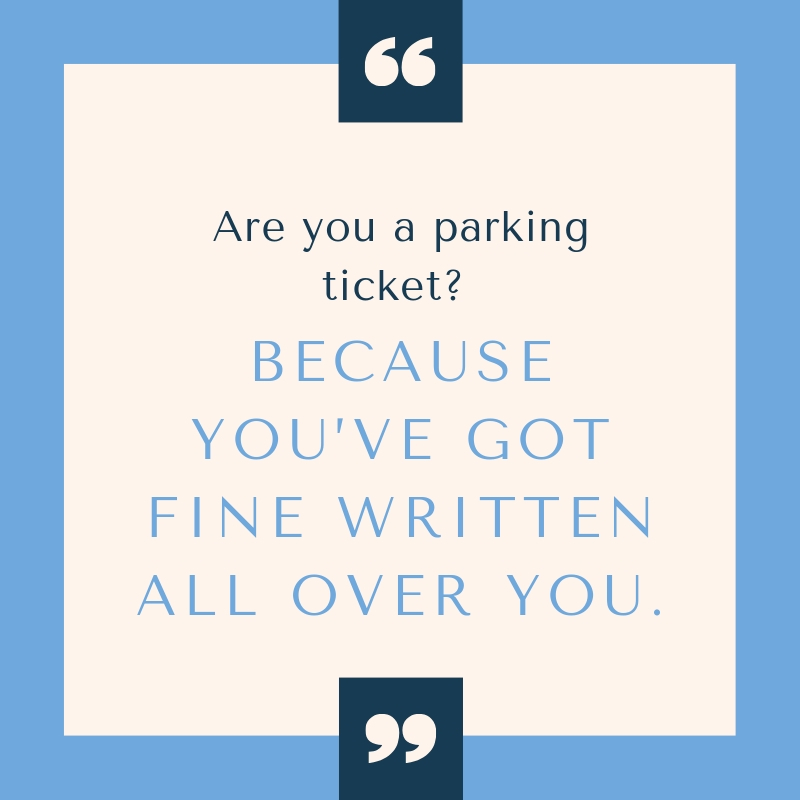 Are you a parking ticket? 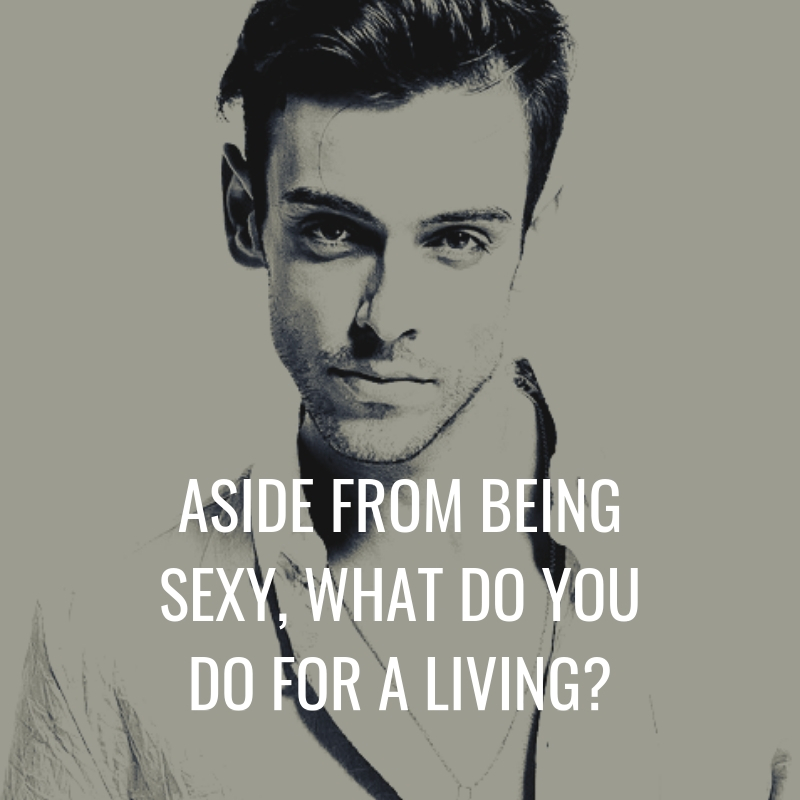 Because you’ve got fine written all over you. 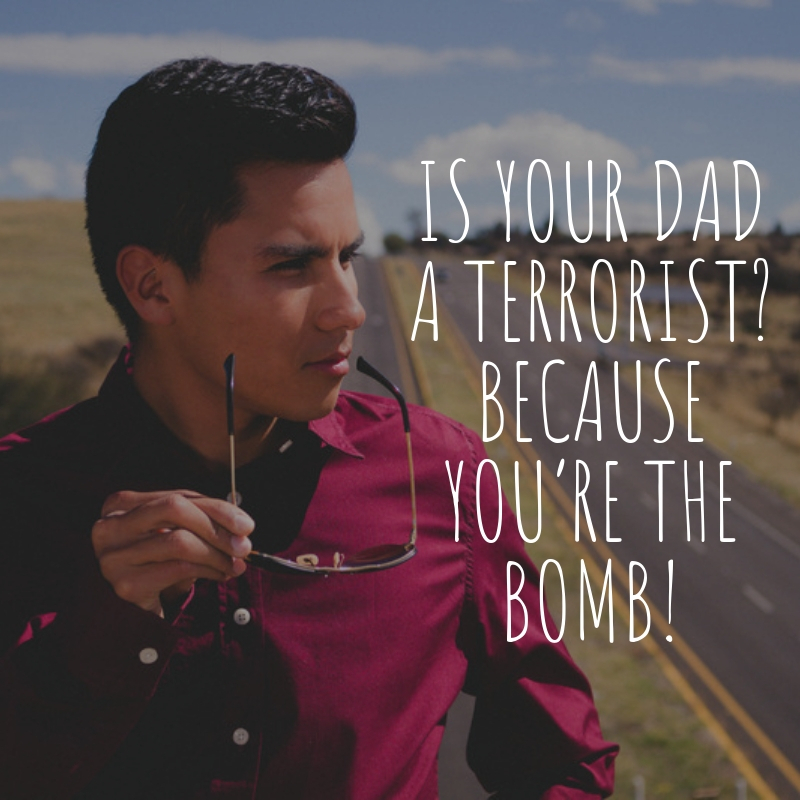 Is your Dad a terrorist? 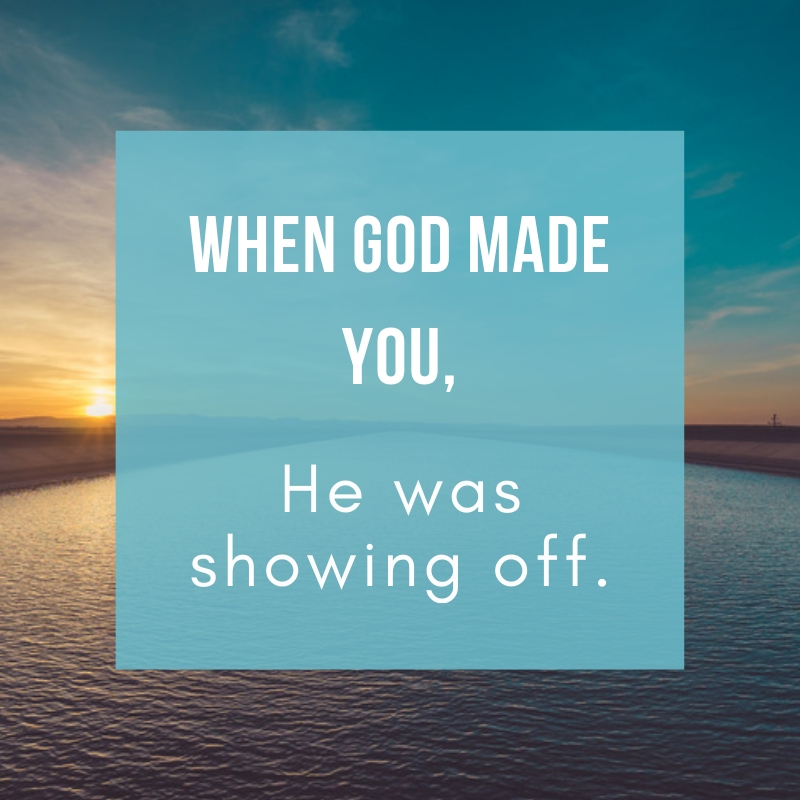 Because you’re the bomb! 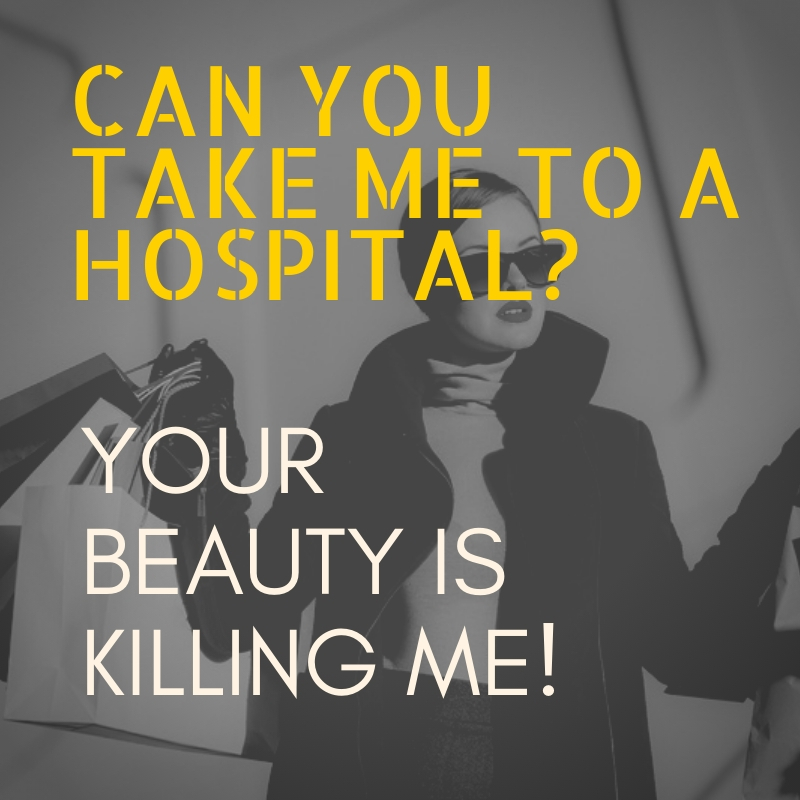 Can you take me to a hospital? Your beauty is killing me! Would you grab my arm, so that I can tell my friends I’ve been touched by an angel? 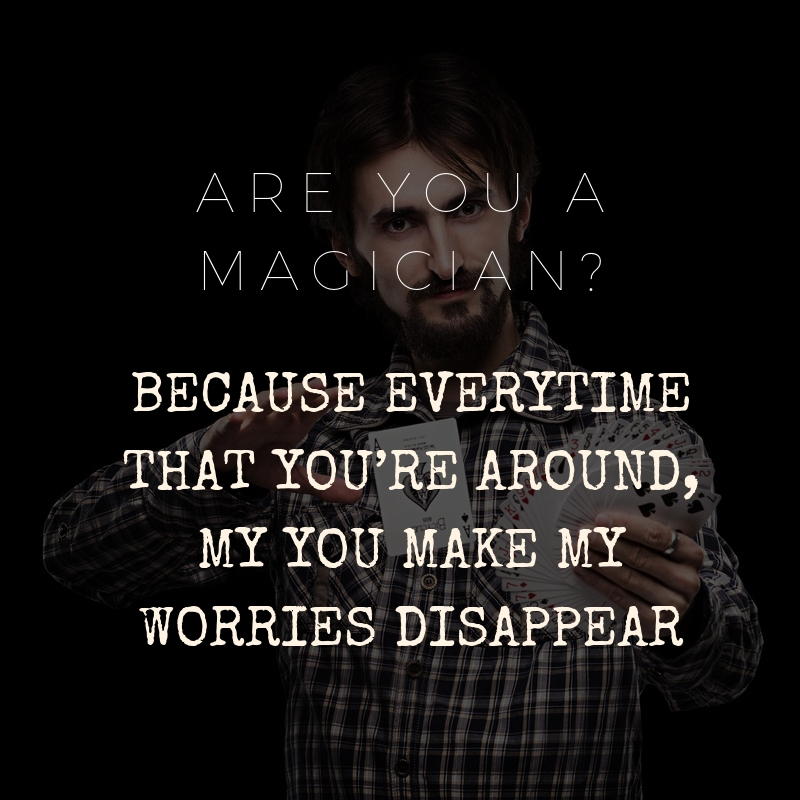 Are you a magician? Because everytime that you’re around, my you make my worries disappear. 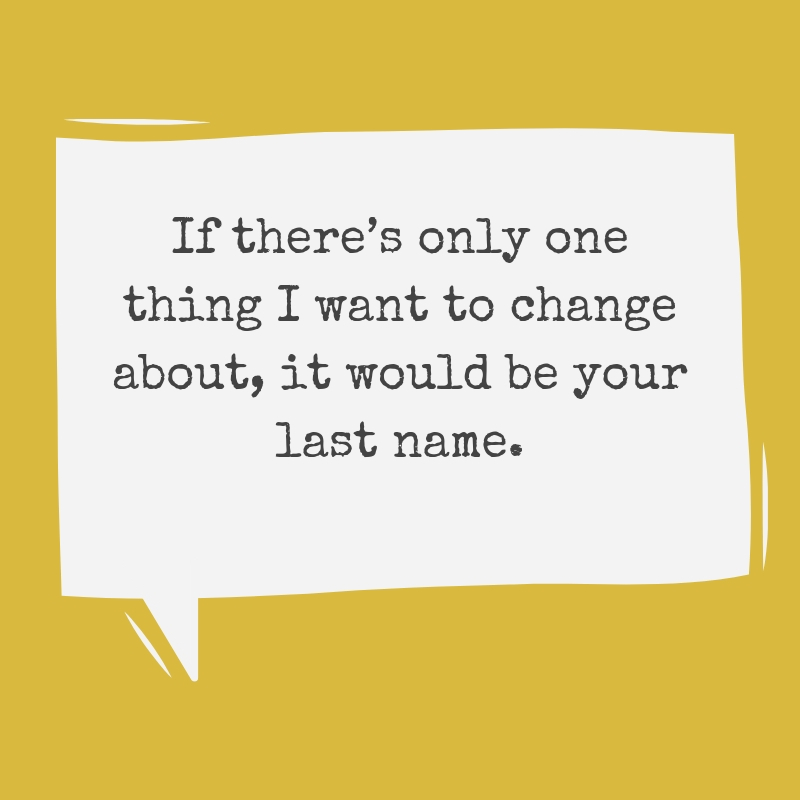 If there’s only one thing I want to change about, it would be your last name. 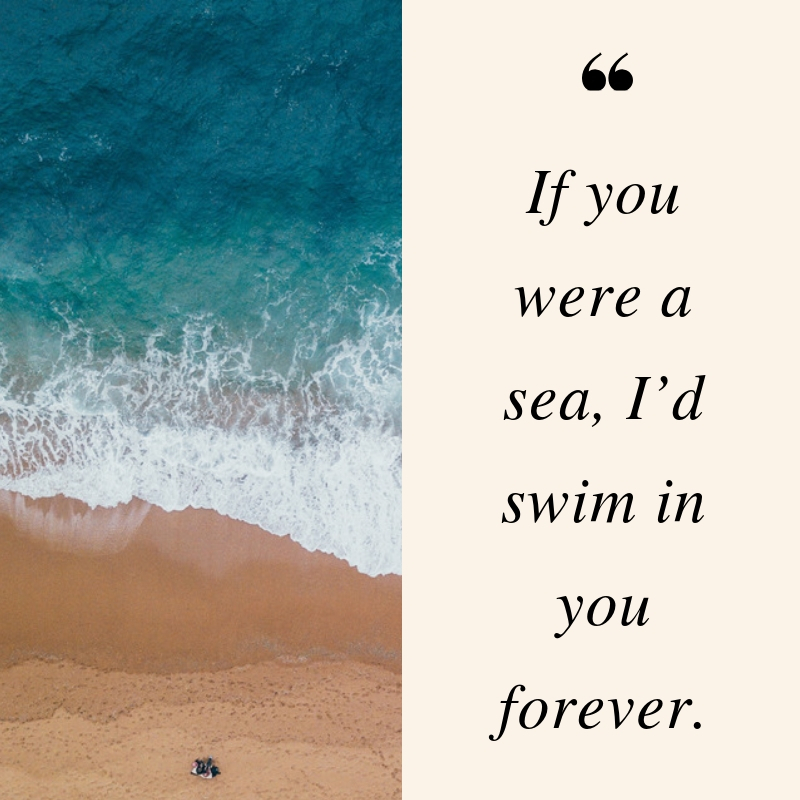 If you were a sea, I’d swim in you forever. Forgive me if I’m following you all day. 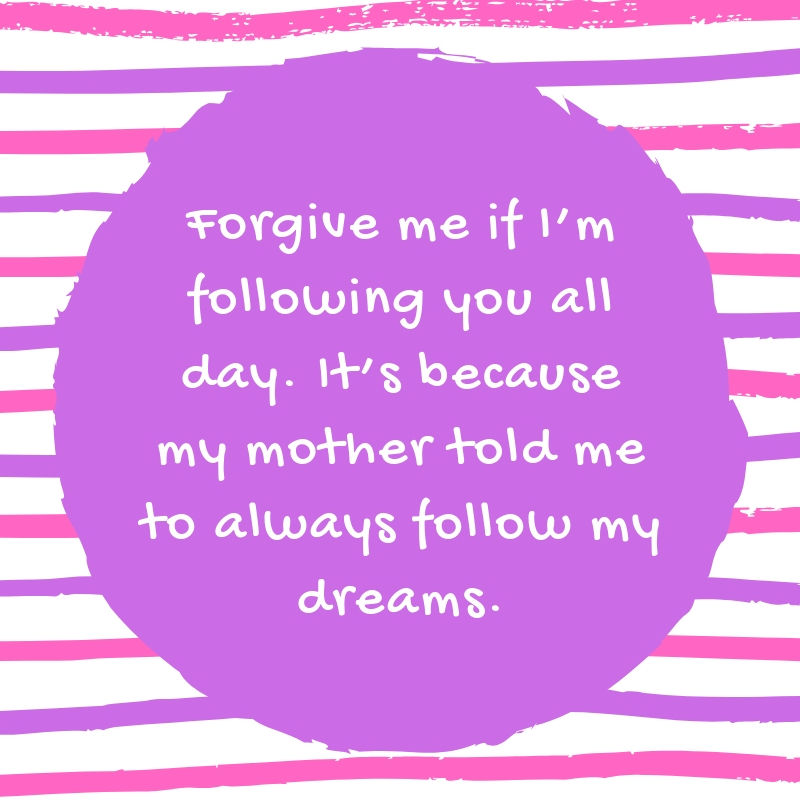 It’s because my mother told me to always follow my dreams. Baby, you make my palms sweaty, knees weak, arms spaghetti. 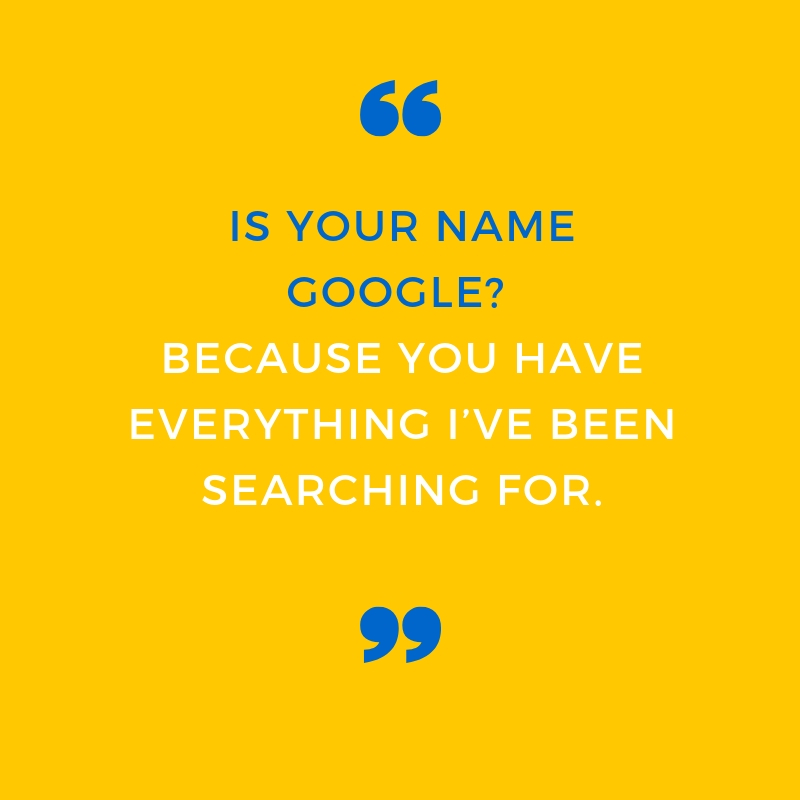 Is your name Google? Because you have everything I’ve been searching for. 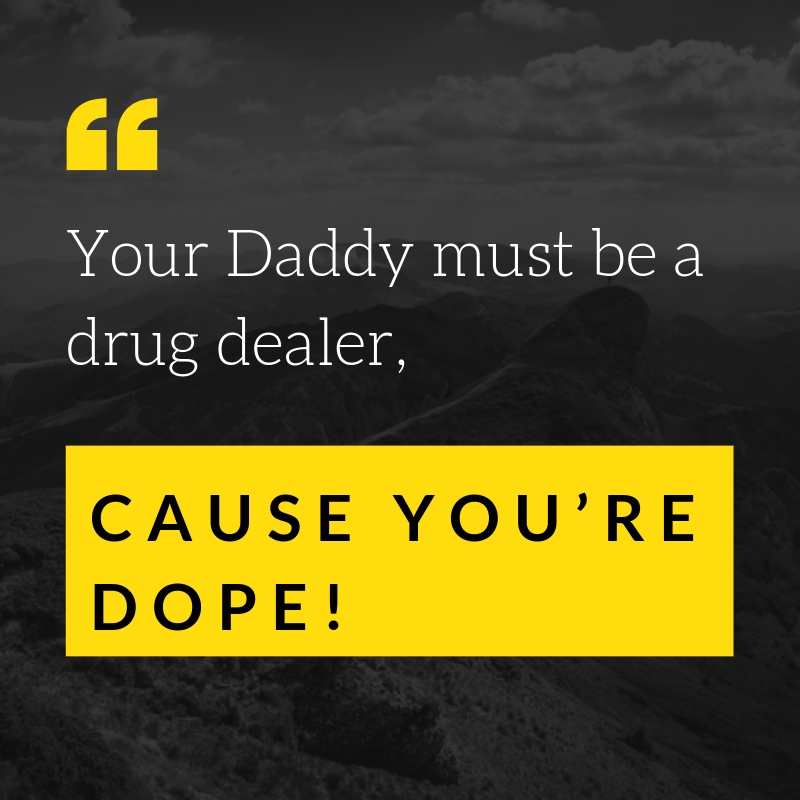 Your Daddy must be a drug dealer, cause you’re dope! There must be something wrong with my eyes because I can’t take them off you. 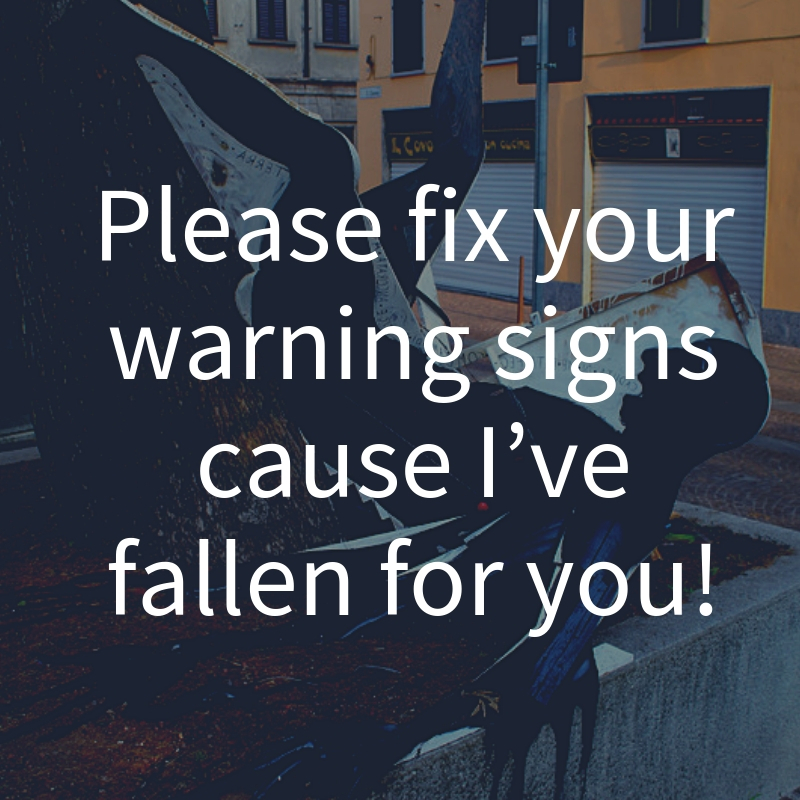 Please fix your warning signs cause I’ve fallen for you! 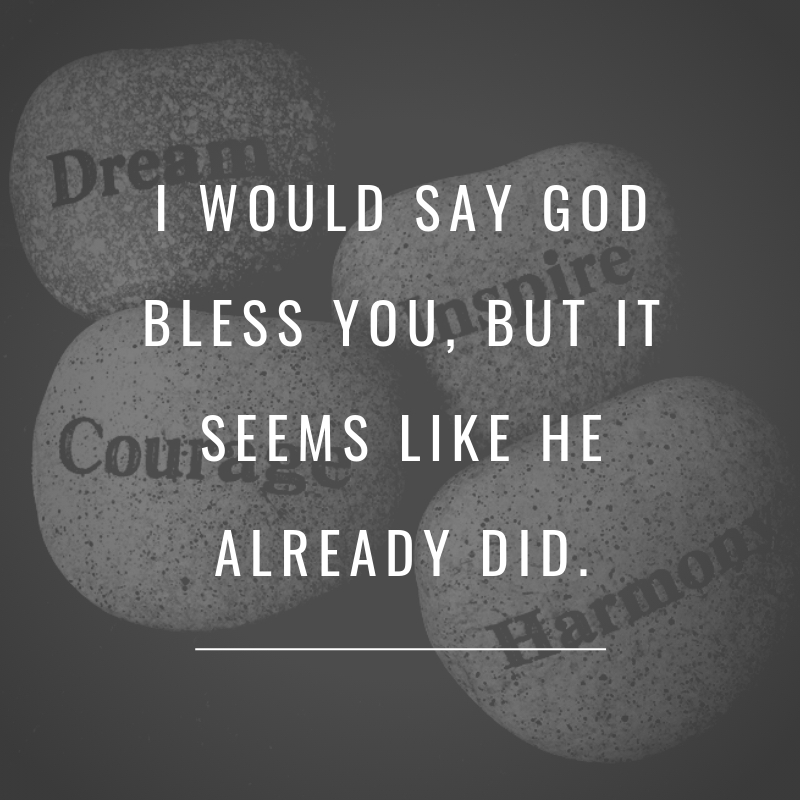 I would say God bless you, but it seems like He already did. Corny is not always corny. 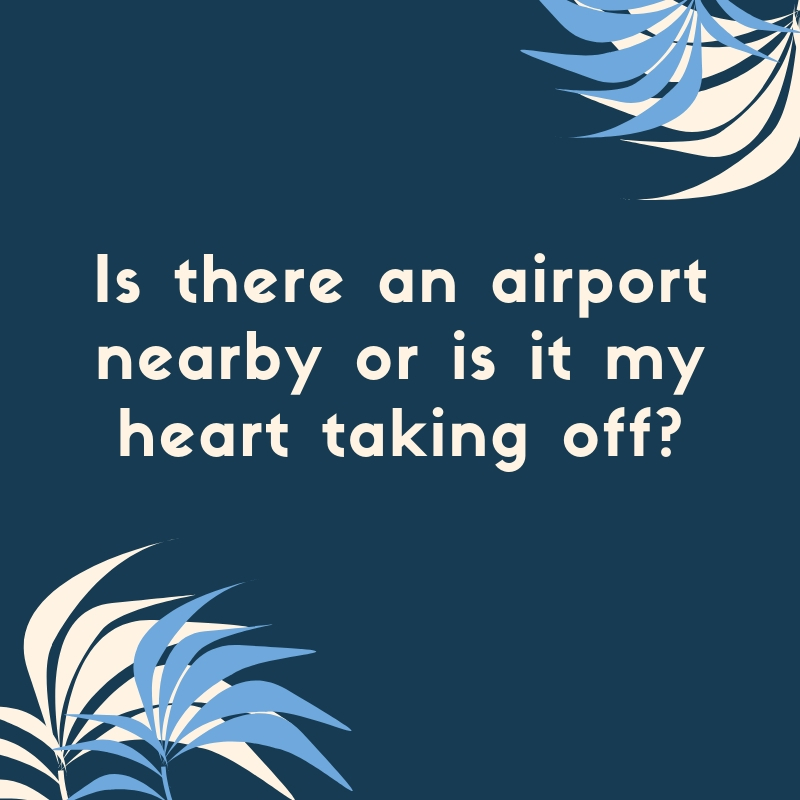 Sometimes, they can become a gut-busting topic that you can discuss with someone special in your life. If you are into corny pick-up lines, you will surely find this collection a treasure trove.